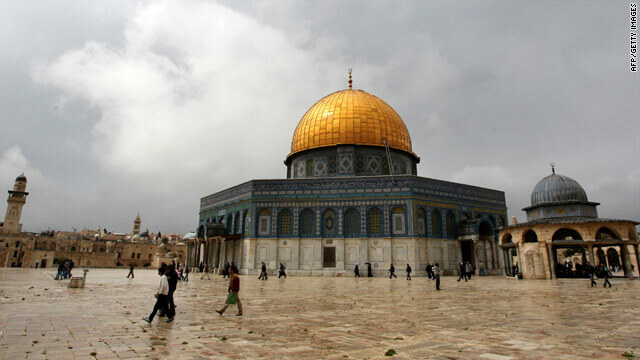 A file photo of the Dome of the Rock at the Al-Aqsa Mosque compound in Jerusalem's old city taken March 26, 2010. (CNN) -- Israeli police are restricting Friday prayers at Al Aqsa mosque in Jerusalem following intelligence reports about possible riots in the city, Israeli police spokesman Micky Rosenfeld said. Men age 40 and under will not be allowed to pray at the mosque Friday, he said. When Israeli officials have concerns about possible violence, it is not uncommon for them to limit the access young men have to the mosque. Hatem Abdel Qader, a Fatah official in Jerusalem, told CNN that such restrictions have become common in recent years. "This is an excuse that Israel uses for security reasons to prevent the largest number of citizens from reaching the old city and the Aqsa mosque," he said. Israeli officials have said public safety concerns prompt the restrictions, but Qader said the motivation is religious. The mosque, which is located on the Temple Mount in East Jerusalem, has been a site of clashes between Israelis and Palestinians. In 1996, dozens of people were killed in rioting related to the mosque.